Two mums, one kid . . . how much mess could they possibly make? Join this happy trio in picture book style domestic bliss, and chaos. 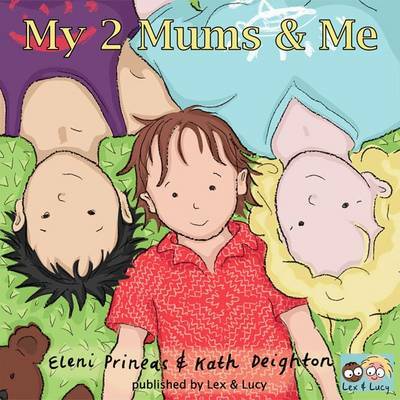 With joyful colour illustrations by Kath Deighton, and rhyming text by Eleni Prineas, this is a portrait of family life that will be enjoyed by children and adults alike. When our daughter was little, it was hard to find children's books that truly reflected our experiences, and we really appreciated the few nice picture books that featured a family like ours. With backgrounds in design, writing, and literacy education, we decided to create a picture book about a child and their two mums. We made it a rhyming book, not only because rhyming text is fun to read aloud, but also because rhymes help children develop phonological awareness and beginner reading skills. Kath Deighton's background is in design and visual arts education. She has qualifications in industrial design, architecture and education. Eleni Prineas has qualifications in communications, information management and TESOL, and a background in ESOL and literacy education; she has also worked as a Children's Librarian.